Confession time. I’m an indecisive person. When someone asks me my favorite ______ it’s really hard for me to answer! (“They’re both favorites…”) Luckily, this year I have had some great opportunities to play with different Project Life Kits – perfect, since I could never pick just one! 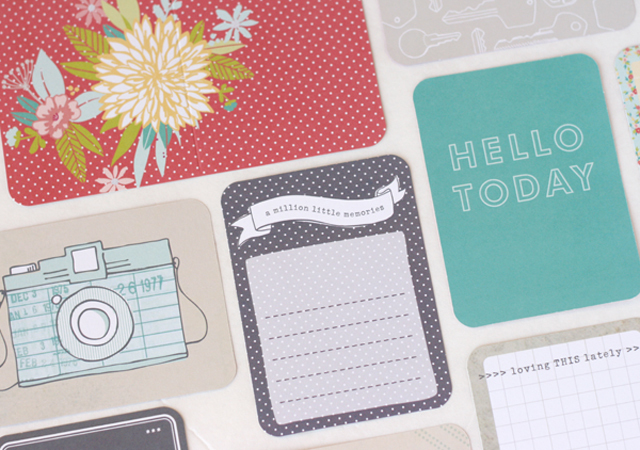 Today I want to show off a gorgeous new Project Life Core Kit that is exclusive to Michael’s! Say hello to the Dear Lizzy 5th and Frolic Edition. There are so many ways to approach Project Life. I’ve done the picture-a-day approach. and the catch-up-on-old-pictures type of album. 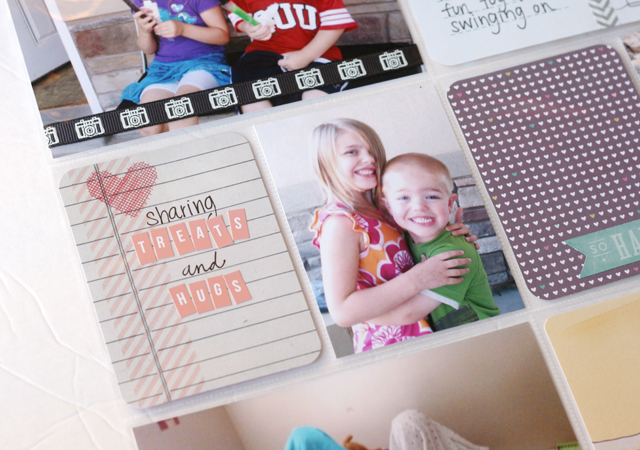 For this layout, I simply wanted to tell a story – one that was on my mind right then. My kids have magically gotten to a stage where they play together. Like, all the time. They are each other’s best friend! So I took a bunch of pictures from the last month or so (not worrying about dates or chronological order) and used them to tell that story. I love how simple it was. 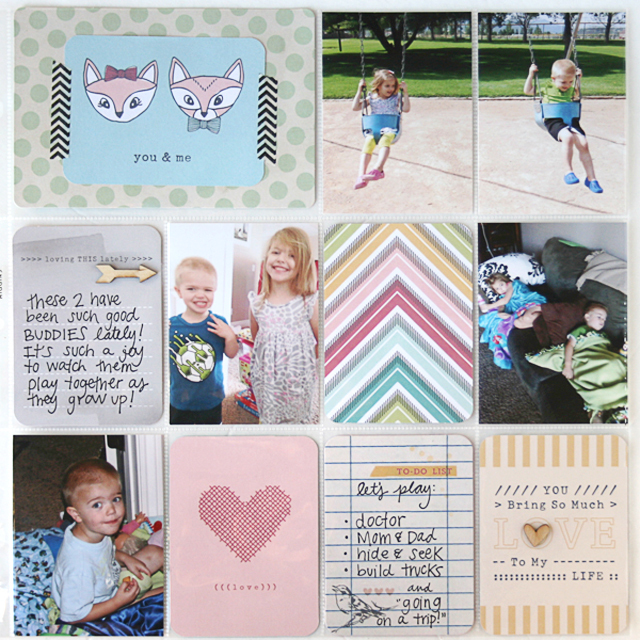 I used the journaling cards to write how I felt about this newfound friendship, and then filled in the rest with the adorable filler cards. So so EASY, you guys! I love the fact that you can check these out in person now – at the store. There’s just something about gettin’ all touchy-feely with it that you just can’t get online! 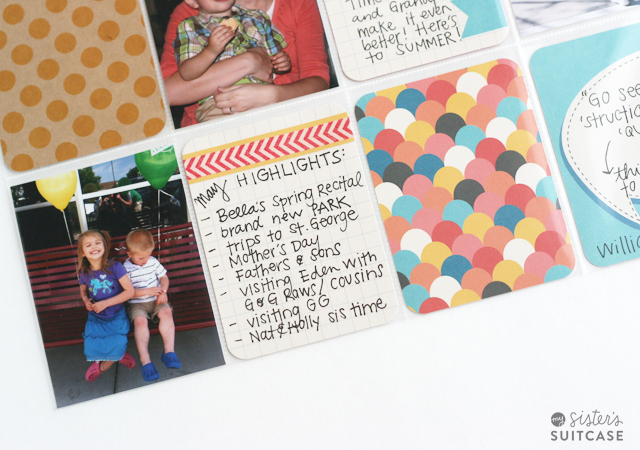 Did you know Michaels carries one of the largest selections of Project Life products? That includes of course, this exclusive 5th and Frolic Kit as well as a new Vintage Travel Kit and more exclusive album designs. 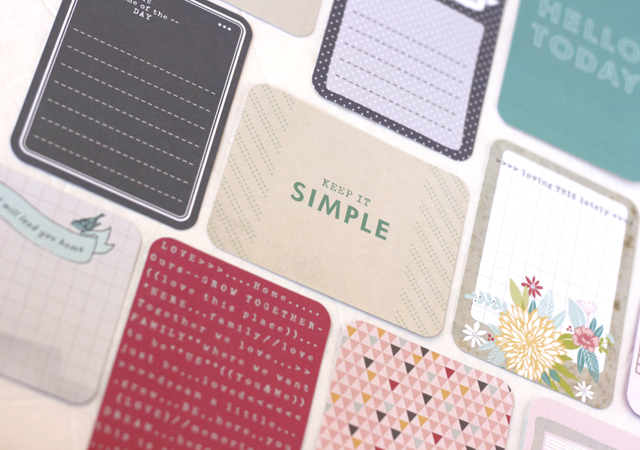 When it comes to Project Life, it’s really about exactly that: keeping it simple. 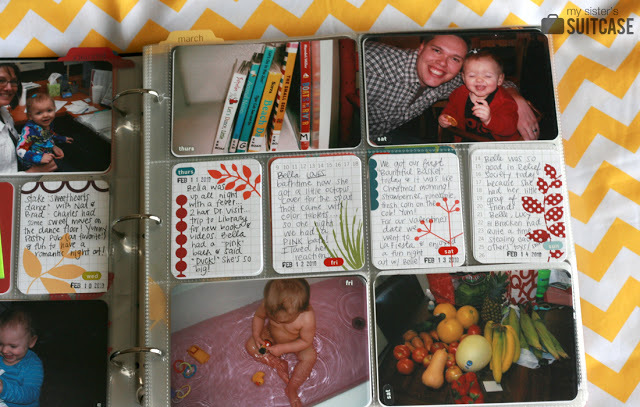 Use the system however it works best for you – whether that means a photo a day or a few pages per year! 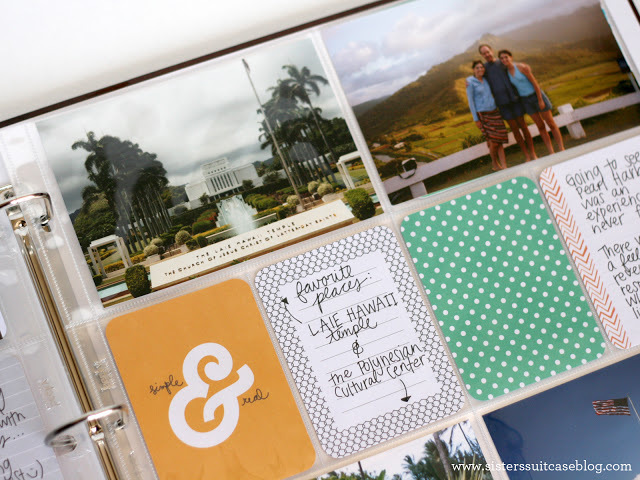 I hope this gave you some ideas on how to start capturing memories and telling your family’s stories. Thanks for reading! 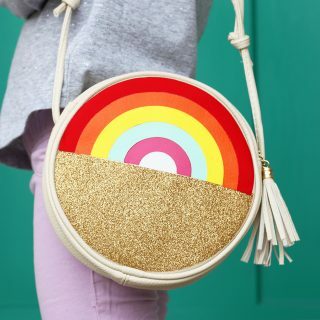 This post is part of a paid campaign with American Crafts, but all opinions are my own. I really enjoy Project Life, if you were wondering. « A thought for today: Enjoy Life. 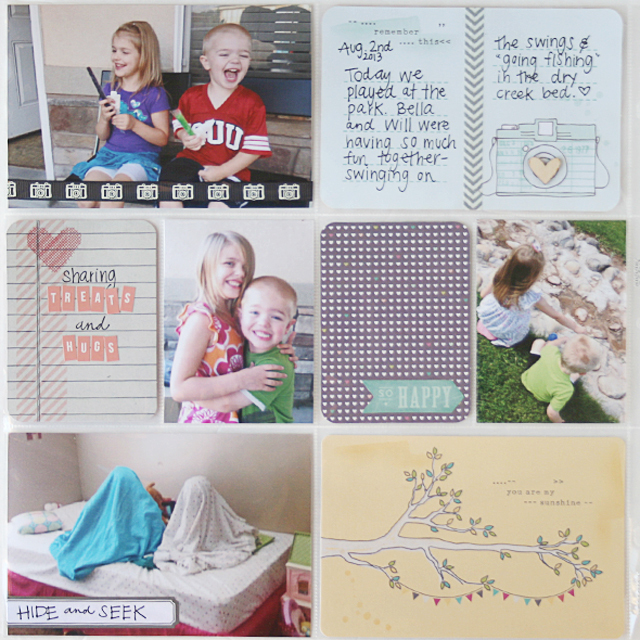 I just started using Project Life and I love how easy it is! Great post and a beautiful family! This is gorgeous!!! Love this project…you did a fantastic job! Love seeing pictures of your cute kiddos! 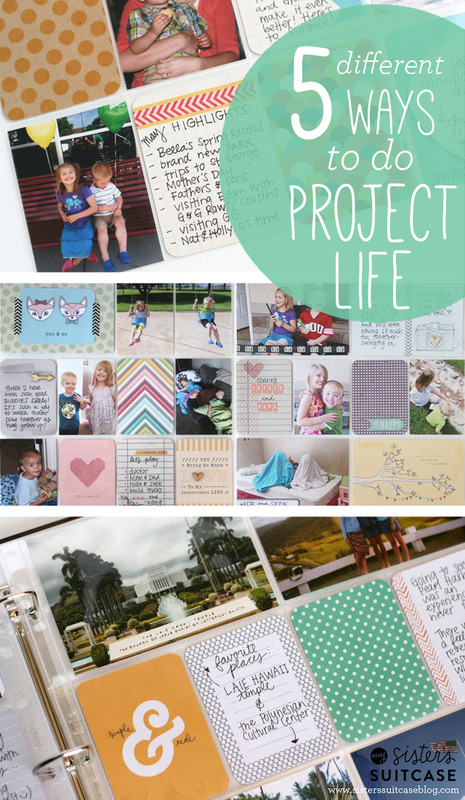 You do such a great job with project life…glad you got me started on it! Fantastic layouts! Loving this line! 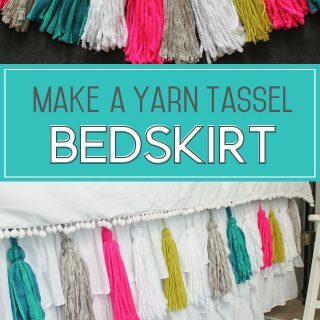 Love all your different Project Life ideas! 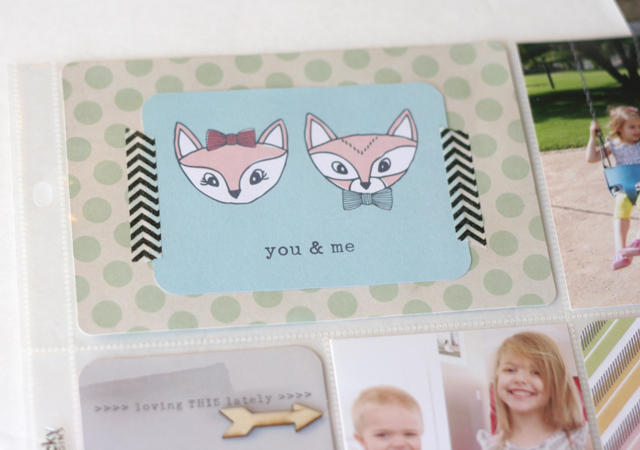 Looks like you had a ton of fun with 5th and Frolic– your layouts are darling! 5th and Frolic is my favorite design from Project Life. 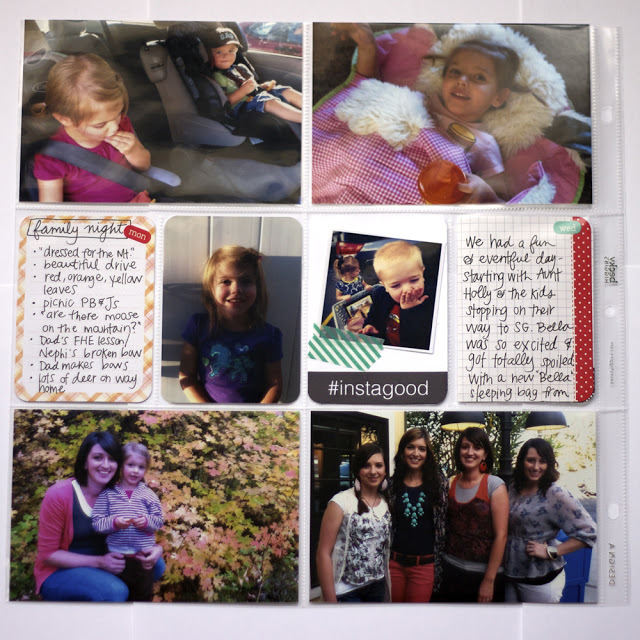 Your pages turned out so beautifully! Thanks for your post! Really helpful to me as someone new to Project Life. Nat, just as you, I want to do monthly/yearly books and also have separate books for each child. So what I am wondering, what sort of things go in the separate childhood albums? I’m trying to figure out what would go in the family album vs. separate childhood album? Thanks so much for this post! I’m working on getting started and I’ve been searching and pinning a ton of different stuff with ideas, but I couldn’t decide/figure out how to approach it and wanted a plan of some sort because I know the whole “add photos as I take them” approach just won’t work well:) This just gave me real, simple ideas to work with – thanks so much for that! Hey there ladies! 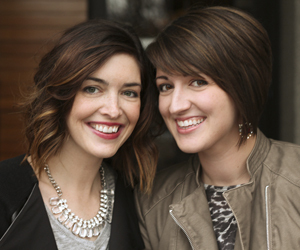 Just a thank you fir sharing some alternate approaches to project life. I began my project life journey this year and not only caught up on my backlog of photos (2011,2012,2013) but I loved it so much that I’m now going back and redoing my old albums project life style. I just finished 1998 (my husband and I’s first family album). Obviously recreating old albums the traditional weekly or even monthly layouts were difficult so I went with catagories ( vacations, holidays, new additions and birthdays, school activities and summer fun, etc) and used the dividers to seperate them. I felt like I was in un charted territory. Thx for showing that there are truly no ruled for project life. It’s all about what works for you. I’ve got my best girlfriends on board and now we have project life Thursdays. Love your layouts. Thx for the inspo!